A new bill to improve the process for approving short sales may soon bring relief to stressed buyers who lose patience waiting for lenders to act. The bill, introduced in the U.S. House last week would impose a deadline of 45 days on lenders to respond to short sale requests. The legislation is a bi-partisan effort. The move is strongly supported by the National Association of Realtors. According to NAR President Ron Phipps, Realtors and consumers continue to raise issues about delays in the short sale process, because lenders are unable to decide whether to approve a short sale. After many months of delays, and with no response from lenders, potential buyers are losing patience and cancelling their contracts, often resulting in the property entering foreclosure. 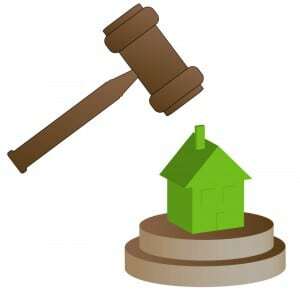 A short sale minimizes the negative impact on sellers and generally costs the lender less than a foreclosure. NAR has been actively pushing the lending industry to improve the process for approving short sales, which represent about 13 percent of recent home sales according to NAR data. Streamlining short sales transactions will reduce the amount of time it takes to sell the property, improve the likelihood that the transaction will close and reduce the overall number of foreclosures. This benefits sellers, lenders, buyers and the entire community” Phipps said.